For a long time now, we have gone over all the problems that Vietnam is faced with, along the different ways to fix them. We’ve been discussing the possible strategies that the Vietnamese leadership could take to turn the country around, as well as how to deal with the coming Chinese invasion. Even with all this discussion, the change that happens in Vietnam is so limited, it seems like nothing substantial is actually happening. China is still bullying Vietnamese fishermen in the eastern sea, poverty and violence is still rampant inside the country, and the human rights situation is as bad as it has ever been. What’s with all this lack of progress? 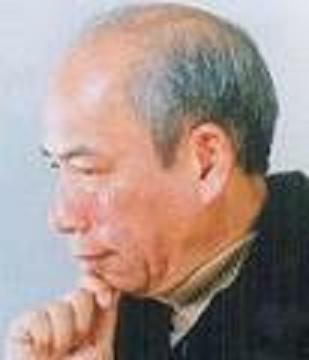 Why are the Vietnamese Communists still making all the foolish decisions that they’ve been making in the past? Furthermore, why have the Communists not corrected so many of the obvious problems afflicting the country such as human rights and corruption? These issues are not hard to fix, and it’s not like they are left to deal with these problems alone either. Countries like the U.S., Canada, and many western countries see many personal benefits in helping Vietnam fix itself. Sadly, the leadership in Vietnam has not caught on, or have they? Vietnam has been presented with so many golden opportunities, why haven’t they capitalized on them? Let’s clear this up right now. To a certain extent, the problems plaguing Vietnam today can be attributed to what we call the stupidity of the Communist Party. However, this explanation is way over simplified and does not accurately depict what the leaders in Vietnam are thinking. The reality is, they actually do understand all the benefits that they could bring to Vietnam. Everything we have talked about, all the obvious and practical solutions that I have presented over the existence of this blog, the Communists already know. They know that fighting corruption would improve the country’s development in a substantial way. Not only that, they do understand that fixing human rights would definitely win the U.S. over to their side. Surprisingly enough, they also understand that the country’s people has enormous potential, and that becoming democratic would lead the country into a new era of prosperity. So with all this in mind, why do they still maintain the broken system, the corruption, and the repression? The reason for the prevalence of this status quo by the Communist Party is simple. 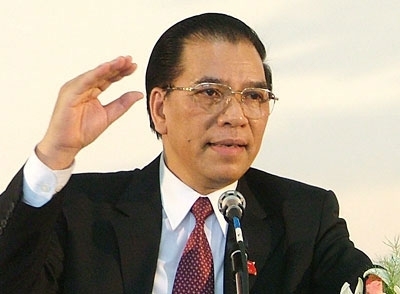 Despite the knowledge that a few small but critical reforms can transform the country for the better, the leaders in Vietnam just can’t bare to part from the money and power that comes from being a Communist dictator. 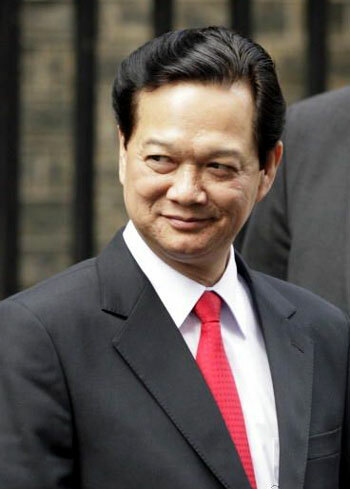 Communists members like Prime Minister Nguyen Tan Dung, former General Secretary Nong Duc Manh, and the rest of the Politburo keep the Communist system alive because it allows them to benefit from the pain and suffering of the Vietnamese people. As the inheritors to the money and power, the “men” at the height of the Communist Party are entitled to many privileges and lavishness. They will do anything to make sure that they do not lose this entitlement. These Communist pigs would not hesitate to kill their own people, or even to sell out the country to the Chinese, as long as they can defend their own power. The Communist leaders themselves do not believe in the ideals in which The Party identifies itself with. They know that Communism is dead, they know that Ho Chi Minh lied to everyone, they know how harmful the status quo is to every citizen in the country. The Communist know all of this, but they refuse to change it because they are too greedy, selfish, and cowardly. If they decided to side with the U.S., they would have to deal with the corruption and human rights. If they were to crackdown on corruption, they would no longer be able to syphon the money from Vietnam’s economy. If they improved human rights, then the people would rise up and hold them accountable for their corruption. Lastly, if they let their people see the smallest glimpse of what democracy can bring to Vietnam, The Party would cease to exist as we known it. As a result, the Communists would lose all of their powers and privileges, and fail to amount to anything. For all the reasons mentioned above, the Communists will do everything in their power to keep the country weak and their people ignorant. They would not hesitate to let their own people die at the hands of the Communist police or the Chinese pirates. There is no telling how far they would go to defend the power that they inherited from their revolutionary predecessors. That is why, when we characterize the Communist Party, we know they have money, we know they have power, and we definitely know that no one respects them. It is actually wrong to even call them leaders, a more accurate word to describe them would be cockroaches. A disturbing new finding has surfaced, showing how evil the Communist government in Vietnam really is. 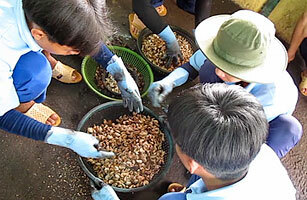 Recent reports have shown that Vietnam’s rehab patients are subjected to forced labor. They get paid next to nothing for their pain and suffering, and are not permitted to leave the rehab centers for years at a time. Patients who refuse to work are either beaten severely, thrown in solitary confinement, and shocked with electric batons. Not only would the officials at the rehab centers keep the patients in custody for two to three years, but they would extend the patients stay for another several years, labeling the confinement as “post-rehabilitation management.” Basically, drug addicted individuals check into rehab, thinking they are receiving help from the government. What they are really getting out of it however, is imprisonment and exploitation. The Communist Party has committed atrocities on its own citizens for more than 35 years. This is just the latest in a cycle of evil and greed that has characterized the Party long before they ever became the rulers of the country. There are currently 123 “drug rehabilitation” centers in Vietnam, trapping over 40,000 poor lives who believed that they were going to get treatments for their respective habits. When finally released, the victims are intimidated and threatened into keeping silent. It should be clear by now that these “rehab centers” in Vietnam are not rehab at all. If all the evidence is not indication enough, the relapse rate of rehab patients in Vietnam ranges from 70-80%. Andrew Marshall of Time Magazine suggests that the relapse rate may even be higher than that, possibly as high as 95%. It is a heartbreaking truth, but for a drug afflicted individual in Vietnam, there is no way out. 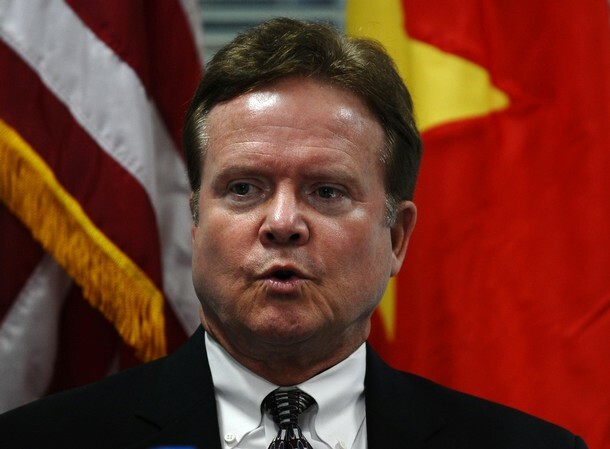 A Chance for Change: Vietnam and the U.S.
During a conference in Hanoi on August 24, 2011, Senator Jim Webb talked about the possibility of lifting the weapons embargo against Vietnam, implemented by the U.S. since 1984. Over the past year, the U.S. and Vietnam have held numerous political meetings and military exchanges, flourishing from skeptical optimism to an almost working partnership. Vietnam’s affiliation with the U.S., a former enemy, has improved greatly since the countries normalized relations in 1995. Truth be told, both countries are still very suspicious of each other due to their relationship in the past. However, it is also true that both sides have a common interest in one another due to the current circumstances in world politics. That is why it is time for the two sides to work out these differences and build on a relationship that has been cultivated for almost two decades. It should be obvious by now that the U.S. has a national interest in Vietnam, mostly because of it potential as a counterbalance to the ever defiant and malicious People’s Republic of China. The rise of China, who has become increasingly aggressive and belligerent in every realm of American politics, is now posing a problem for the United States. China has directed its economic and military muscle at the United States on many occasions. They will do anything in their power to keep the American economy in a state of recession and vulnerability. Needless to say that China, regardless of what they say on the surface, is no friend to America. As a country who has fought with China over and over for more than one thousand years, Vietnam has proven itself a formidable force against the northern giant. The U.S. never understood this in the past, but after several painful lessons at the hands of both the Chinese and the Vietnamese through the decades, the lesson is finally clear. Of all the countries in Southeast Asia, it has always been Vietnam who put China in their place. Today, with an increasingly powerful military and ever growing economy, China is once again trying to bully, steal, and force its way to the centre of the political stage. The U.S. is facing constant pressure from the Chinese as a result, exacerbating their need for someone capable of taking on this threat besides the U.S. themselves. In Vietnam, the U.S. sees this potential, both in the country’s economy and its military. The population in Vietnam has now surpassed 80 million people, well on its way to becoming a nation of over 100 million people in the coming decades. 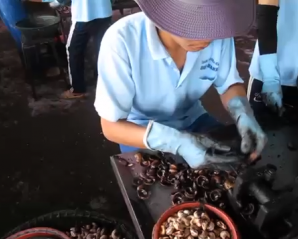 This growing population is desperately searching for work, possessing the mental and physical capacity to fuel the Vietnamese economy. Furthermore, the growing population is more than eager to defend the country against China, who has given Vietnam much more problems they have done to the U.S. Vietnam has both the potential and the strength to make this happen. What Vietnam lacks however, is the leadership, and the tools to realize their potential. The U.S. understands Vietnam’s capability and would like to provide the means to reach that goal, the only thing that stands in the way is the country’s rampant corruption and totalitarian ways. Several weeks ago, American Senator Jim Webb has expressed his interests on lifting the ban on selling weapons to Vietnam. If the ban were lifted, the U.S. would be free to sell military technology to Vietnam, greatly improving the defensive capabilities of Vietnam. 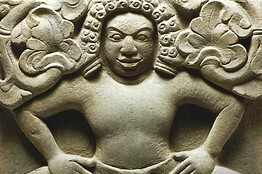 However, there will be some guidelines that Vietnam would have to follow, which will undoubtably involve human rights. Even so, would that be such a bad thing? It is such a no-brainer, win-win situation, yet the Vietnamese Communists still have to think about it. Provide a better life for your people and receive stores of high-tech weaponry in return? The benefits outweigh the gains so substantially, this shouldn’t even be a question. It has been long overdue, but the Vietnamese government is finally looking to strengthen its own military capabilities. 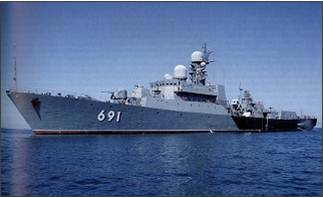 According to Blog Critics Politics (August 31, 2011), Vietnam has recently acquired a new Gepard class frigate from Russia, with additional orders placed on six new Project 636 Varshavyanka kilo-class submarines. The newly acquired Gepard class warship will be the most capable of Vietnam’s fleet, leading the way for the new development and modernization of Vietnam’s naval forces. Modernizing the military for the purpose of defending Vietnam’s sovereignty against foreign aggression is a respectable endeavour. The new weapons purchased from Russia will surely add some much needed muscle to the Vietnamese military, but even so, it will be far from enough. Last year, the People’s Republic of China spent about $91.5 billion on their defence budget, investing heavily in their naval capabilities, using advanced nuclear weapons technology. If Hanoi wanted to challenge Beijing, there is still much work that needs to be done. Not only will Vietnam need to order weapons from Russia, but they must look to the United States for support as well. Currently, the U.S. is prohibited from selling weapons to Vietnam, as part of an arms embargo put in place since 1984. However, there are many in the U.S. who are considering on lifting the ban of selling weapons to Vietnam. However, the Vietnamese government’s constant abuse of human rights and freedoms still provides an obstacle. There are many in the United States who want to help Vietnam, the only thing standing in the way is their dictatorial style of governing. If Vietnam were to take a stand on corruption and human rights, it is certain that the U.S. will support this change with open arms. There is an easy way to push Beijing back, and it’s as easy as playing by the rules. Beijing has found yet another competitor to its claims in the South China Sea. This time, the recipient of its aggressive antics is India, China’s large neighbour to the southwest. During its friendly visit to Vietnam, the Indian naval vessel INS Airavat received a radio signal from someone who claimed to be from the Chinese Navy. Officials in India have said that the man on the radio sent a warning to the Indian vessel, claiming that they were entering “Chinese waters,” demanding identification and an explanation from the vessel for its presence in the area. Although the act did not spark a military confrontation between China and India, it clearly signifies China’s assertive claims over these open waters. Like other nations, India believes in freedom of navigation through these waters, in accordance to the guidelines of international law. China however, rejects the agreements and guidelines set by international law and UNCLOS, exerting their claims to the entire Sea of Southeast Asia. It would be interesting to note that the INS Airavat did not even trek toward Chinese waters. The Indian vessel was navigating off the coast of Vietnam, 45 nautical miles off the port of Nha Trang, heading to Hai Phong for a port call. Judging by what is shown, it would be fair to argue that although the Chinese sent the signal to the Indian vessel, it was also intended as a shot towards the Vietnamese. 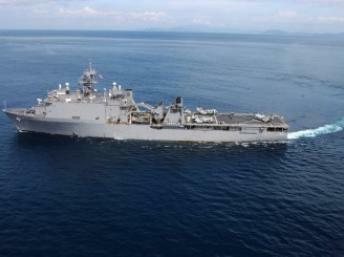 This incident took place on July 22, 2011, off the coastal province of Nha Trang, Vietnam.